Alya Manasa, a popular actress of South Indian television industry, who is best known for playing Semba in Tamil soap opera Raja Rani, which is being aired on Star Vijay. This young talented artist is the latest sensation among the audience of television series. She’s likely winning over the likes of the mass population, thanks to her good looks and charismatic onscreen persona. Alya is better known as Semba or Raja Rani Semba, that’s the impact her role has created among the fans. Alya Manasa was born on 3rd June 1992, in Chennai, Tamil Nadu, India. Alya attended Campion Anglo-Indian Higher Secondary School in Tiruchirapalli and then went to Ethiraj College for Women in Chennai. There isn’t much known details about her links up and break ups at this time. Manasa made her debut with the 2017 Tamil comedy drama, Julieum 4 Perum. 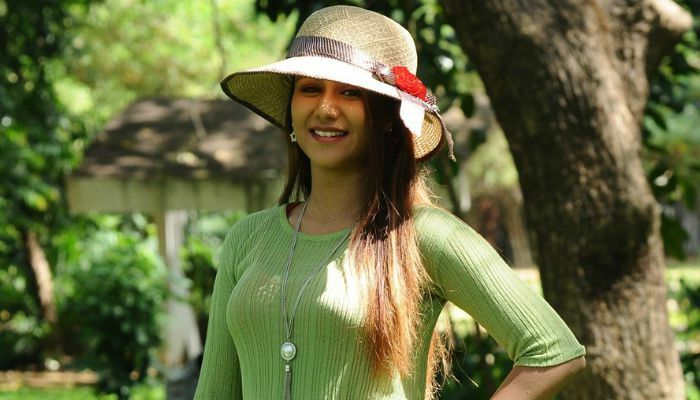 Her television debut came with the dance reality show, Maanada Mayilada Season 10 in which she paired up together with Manas. Manasa is famous for her role of Semba in a Tamil soap opera Raja Rani, which is her debut serial. The charming lass is one of the talented actress the industry has ever seen. Her net worth is unknown. She owns a Maruti K10 compact car. She began her career as a Radio Jockey. She wanted to become an actress at her young age and took dance training when she was young. Alya is also recognized for her dubsmash videos, and in fact, it helped her to land a role in mainstream cinema. She has participated in TV shows like Ready Steady Po and Vijay Diwali Celebrations in 2017. Her role as Semba (Sempa) in the TV series Raja Rani has earned her rave reviews both from TV audience and critics. She has amassed over 650K followers on Instagram.